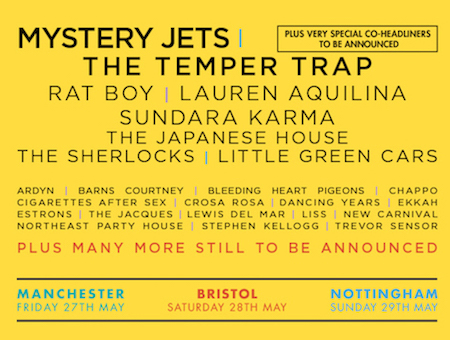 The Dot to Dot Festival is an annual music festival held at various venues in Nottingham, Bristol and Manchester across a weekend. At various venues, including MANCHESTER CATHEDRAL. More to follow! Unlike weekend music festivals such as the Reading and Leeds Festivals, there is no artist rotation – all artists play one city the first day and travel to the other for the following day.